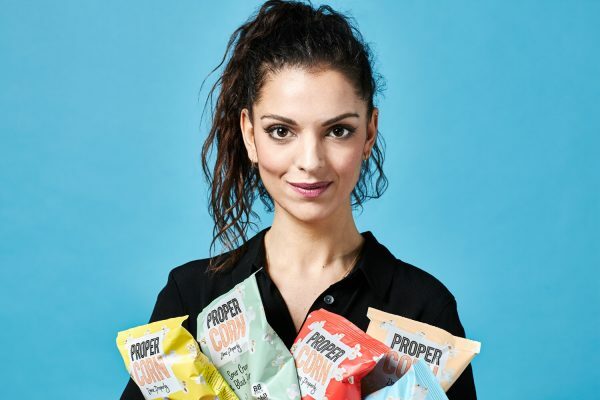 Amber Allcock interviews Cassandra Stavrou, the founder of PROPERCORN, to find out more about the brand’s ethos and their delicious, healthy products. Amber Allcock: As the snacking scene has dramatically changed, popcorn has become a huge phenomenon in working towards healthy, yet fun, options for snacking. The BBC reported that UK popcorn sales have grown 169% in the last five years. What makes PROPERCORN so unique and wonderful against its competitors? Cassandra Stavrou: It’s difficult to single out one thing but I think it’s a combination of the strength of the product and the incredibly ambitious team behind it. We put so much time and energy into making our flavours as impactful and satisfying as we possibly can, using nothing but simple cupboard ingredients– chillies, our own Worcester sauce, peanuts, coconut. Pair this with the creativity of the brand, and energy and passion of the team - we’re pretty hard to ignore! You've also recently released a kids range, what was inspiration for that? Whilst we’ve watched healthier snacking boom amongst adults, there remains a real need for on-the-go alternatives for children. We wanted to create a hassle-free and healthier alternative to crisps and sweets for parents – a ‘no junk’ snacking solution that they don’t have to feel guilty about. When seasoned properly, popcorn is a totally natural, wholegrain food and it has an inherent nostalgia and fun that makes it perfect for kids. We’re the first major popcorn brand in the UK to launch a popcorn range dedicated to kids, and we’re so excited to watch popcorn become a healthy, everyday snack for children, just as it is for adults. PROPERCORN (in my totally unbiased opinion as a self-confessed addict and brand ambassador) has the most unique range of flavours. You describe yourself as 'flavour fanatics’ in fact, what is it that makes every packet so special? All our recipes begin in the PROPERCORN kitchen and are totally unique to us. We use simple cupboard ingredients to give every pack a delicious depth of flavour, from the first hit to the last kernel; every sweet and savoury ingredient in our collection is totally natural and recognizable on back of pack. Our collection is made up of classic flavours like our Sweet & Salty, as well as more unusual flavours like Sweet Coconut & Vanilla, and Fiery Worcester & Sun-Dried Tomato. What is your personal favourite of the collection? I go through phases but currently I’m obsessed with our Peanut Butter & Almond flavour. We’re always experimenting with new recipes as a team but this was a particular labour of love. Nuts have a very high oil content, so to apply it to our popcorn we had to find a way to remove some of the fat. Our process is completely natural, removes 88% of the fat but leaves behind an incredible peanut butter taste. You described your three top tips for success in starting up a new business as: "Resilience, resourcefulness and relationships" Could you give us a little bit of information on PROPERCORN's story and how that drives you all as a team? For as long as I can remember I’ve wanted to run my own business. As a child, it was entrepreneur or artist - maybe both, if I was lucky. I certainly didn't have lofty popcorn ambitions! But, as with many entrepreneurs, it was nothing more than a serendipitous little lightbulb moment that put me on the path to PROPERCORN. Having reluctantly studied law at university, I moved into advertising straight after. Whilst working for an agency aged 25, I was struck by how difficult it was to find a satisfying snack for the mid-afternoon slump. Everyone wanted a snack, but all that was on offer was a rice cake which is bland and boring, or a chocolate bar that’s unhealthy. I noticed an opportunity for a snack that was genuinely tasty but also good for you, and I felt popcorn would be the perfect vehicle to do that. I spoke to my mum about the idea that night, and she reminded me that the last present my father had given me before he passed away was a popcorn machine. It was the vouch of confidence I needed, and I quit my job the next day to start PROPERCORN. Your Instagram designs are super innovative and involve lots of prints and backgrounds, what is the inspiration behind using this kind of artwork? We’ve built a passionate and dynamic in-house design team who put creativity and authenticity at the heart of everything they do. To maintain this, it’s really important that we look outside of our immediate landscape for inspiration, to the designers, artists and brands that we think get it right - it’s very easy to lose momentum if you’re constantly comparing yourself to others on the supermarket shelf. Are you working towards new flavours, and if so, can you give any hints of what they may be? We can’t say too much at this point, but keep an eye out for exciting new flavours coming very soon! 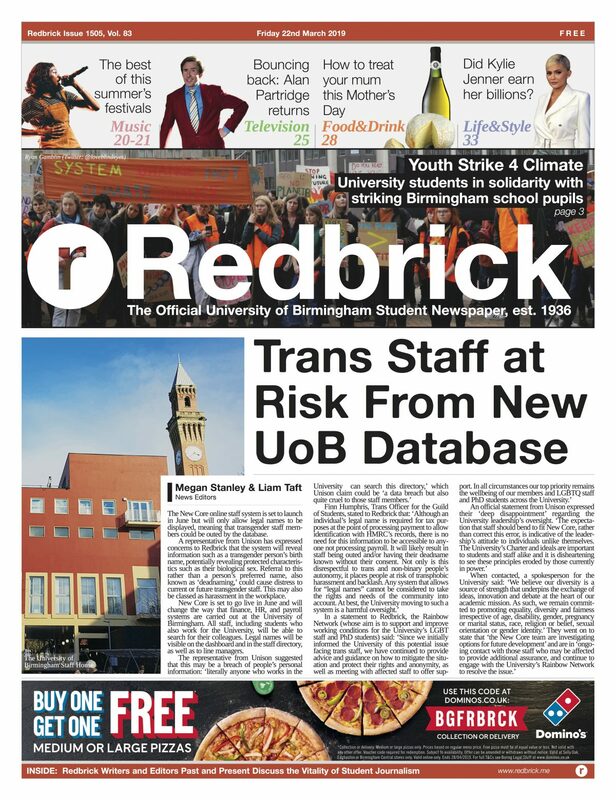 And, finally, for the readers of Redbrick, where can you get your hands on these lovely snacks? Single serve and sharing packs are available from Tesco, Waitrose, Asda and Sainsburys.